Who doesn't love a good ghost story? Throughout the state of Illinois, there's quite a few surrounding some popular locations, and various spots throughout the state that not too many even know about. From private residences, to asylums, hospitals, schools, cemeteries, theaters and roads and parks, there are a number of Haunted Places all over Illinois. Whether you're looking to do some paranormal exploring in Southern Illinois near Carbondale, or up North near Chicago, the haunted spots are endless, and have quite a few ghost stories attached to them. 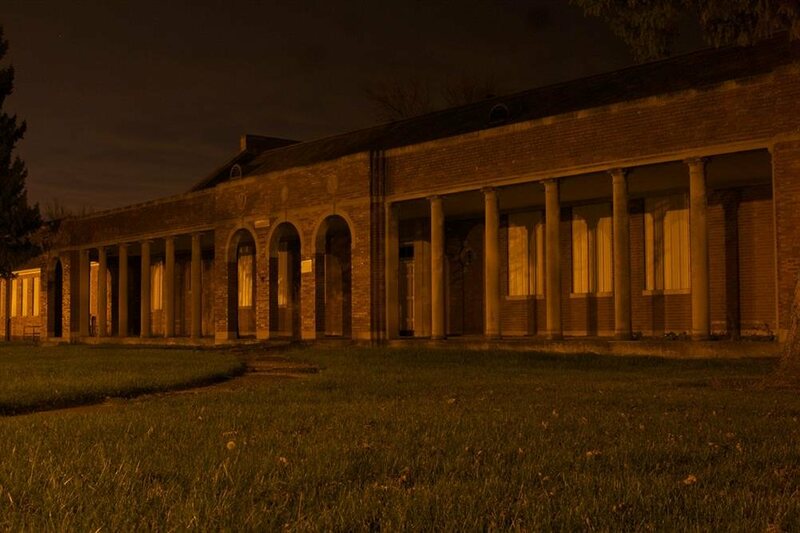 Check out our Top Ten list of Illinois' Haunted Places below! 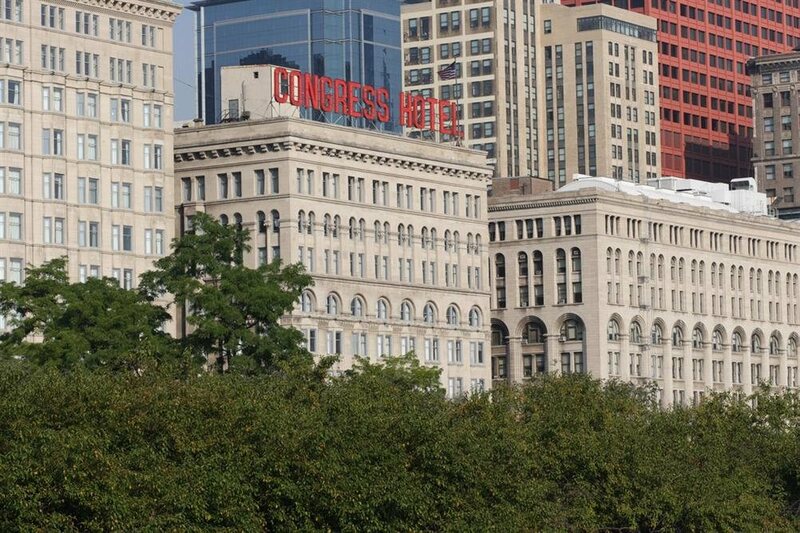 The historic Congress Plaza Hotel in Chicago is a well known spot for paranormal activity. Built over 100 years ago, it's no surprise that there are a number of ghost stories surrounding the place. It has been said that gangster Al Capone once lived here, while other stories say he even once owned the hotel used it for his headquarters. Others say Capone never stayed at the hotel, but that his spirit does in fact linger the building. Room #441 is rumored to have the most activity, where a shadowy woman's figure has been spotted. Witnesses say she manifests at the foot of your bed, then kicks it to wake you up. Located in the South Tower, there are no records showing anyone who committed suicide or killed anyone in the room, but one thing is for sure - the lady specter wants the room for herself! Then there's the story of Peg Leg Johnny, who is known to be a goofy spirit. He was a hobo, who died at the hotel and is now known to turn the lights on and off, and turn on appliances. He is said to be the most active spirit at the hotel. A ghostly young boy resides on the 6th floor, known to play tricks on people. Stories say that a young, Polish mother came to Chicago with her two sons in the 1930s, and was supposed to wait for her husband to arrive and start a new life together. When he never showed up, she threw her children and herself out a 6th story window. They say one of the children's bodies never made it to the morgue. Another location in the hotel that is haunted is The Gold Room, where the "Hand of Mystery" is said to reside. It is here where a worker supposedly got trapped behind a wall when it was plastered shut, causing him to suffocate to death. Witnesses have claimed to see his ghostly hand reaching out from behind the wall in the coat closet. A female ghost is also believed to linger in the Florentine Room, whispering in people's ears. This small, abandoned cemetery is located on the outskirts of Chicago and is believed to be one of the most haunted spots in the area. There have been numerous stories surrounding the grounds, some dating all the way back to the 1800s. There was a time when the location was much like a park, where people would go to swim, fish, and enjoy picnics. But when a nearby road closed down, the area became more and more isolated. Vandalism occurred throughout the cemetery, including graves being knocked over, spray painted on, and even broken or stolen in some cases. Some stories say there were graves that had even been opened, and the caskets removed. The area is believed to be haunted because of this, while others think the paranormal activity is attached to black magic and occult activities that have taken place on the grounds. Haunting reports here include a ghostly female spirit who has been seen sitting on a tombstone, a horse's apparition that emerges from the pong pulling a plow with an elderly man on it, and ghost cars that have appeared and vanished at the nearby Midlothian Turnpike. Listed on the National Register of Historic Places, Hotel Baker dates back to 1928 and was built on the site of the old Haines Mill. The hotel has seen a number of famous entertainers over the years, including Guy Lombardo, Louis Armstrong, Tommy Dorsey, Lawrence Welk, among other well known guests such as Gerald Ford, John F. Kennedy, mayors and senators. A suicide was said to take place here in the 1970s, which may be why many believe the place is haunted. 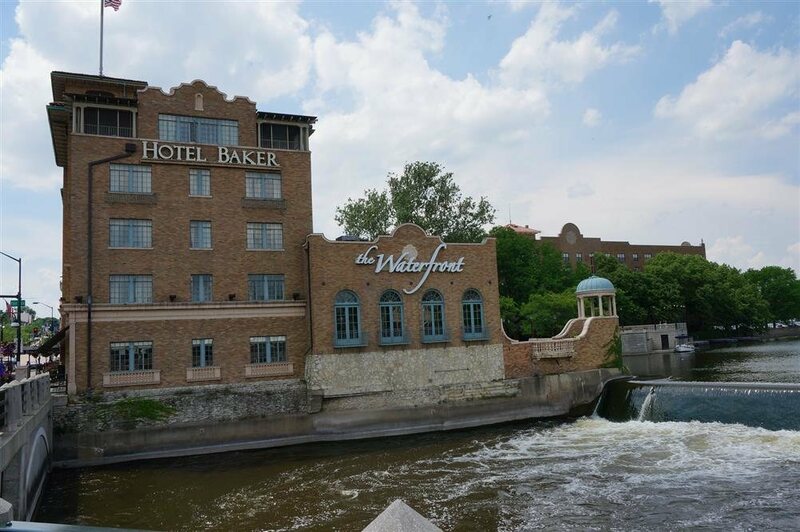 The victim was a hotel chambermaid who had been left at the altar on her wedding day, and ended up drowning herself in the Fox River nearby. Her spirit is known to linger the hotel, making moaning sounds in the 6th floor storage room area, where employees were housed back then. Other witnesses have even reported their bedding being messed up by unseen hands on this floor. 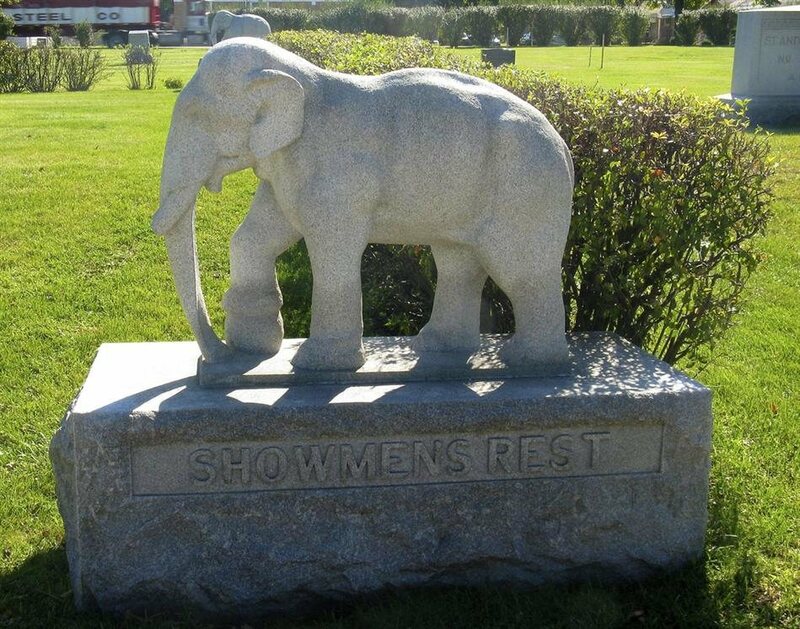 There is a section in Woodlawn Cemetery called 'Showmen's Rest,' a mass grave that contains the remains of those who lost their lives in a circus train wreck on June 22nd, 1918. Many of the victims' name were unknown, so a lot of the markers say things like "unidentified male," "Baldy," "Smiley," or "4 Horse Driver." This area of the cemetery is still used for burials of deceased showmen and visitors have reported hearing phantom elephants at night. This psychiatric hospital dates back to 1927 and first opened its doors in December, 1930. The facility quickly grew and in 1936, an additional 200 acres were purchased to expand the campus. In 1939, from July to December, the hospital suffered from a typhoid fever epidemic and more than 50 patients and staff members died. 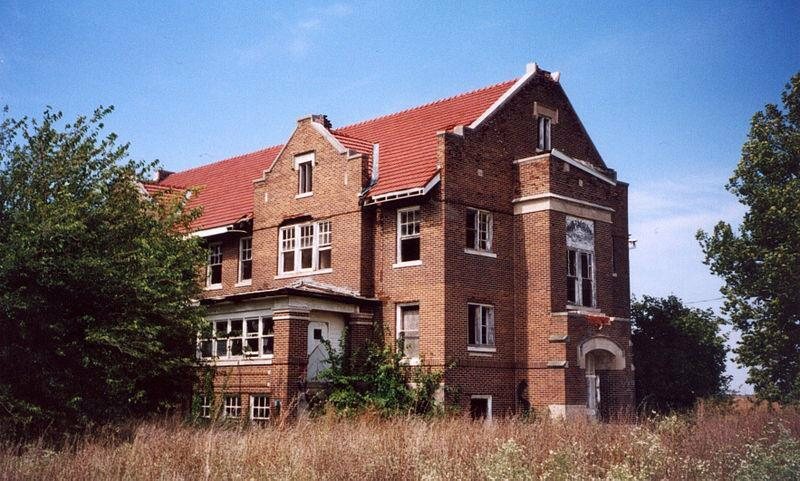 At its peak, the Manteno State Hospital was one of the largest facilities of its kind in the entire world. It served over 10,500 meals each day, and up to 225 tons of coal were used daily to keep operations running. A number of different stories surround the hospital, including one that involved the U.S. Military conducting a secret medical test during World War II. Patients were injected with malaria without being told, in an attempt for the military to find a remedy for the illness. It was said that over 450 patients died from the experiment in 1941, with over 190 escaping from the facility. Other experiments that took place here included lobotomies, and it was said that a large number of the nurses that worked at the hospital weren't even licensed to do so. Governor Jim Thompson decided to shut down the hospital in 1983, and after over 50 years of operation, it shut down for good in December of 1985. Witnesses have reported seeing the apparitions of patients and nurses here, along with ghostly voices that come over the intercom system, which is no longer functional. This forest preserve is made up on wooded trails, river views, and patches of prairie land, and is also said to be the home to some ghosts. Visitors have reported hauntings here since the 1960s, including sounds of drums and chopping coming from deep in the woods. The smell of freshly cut flowers has also been reported, even in the dead of winter. Many believe that Alexander Robinson lingers here in spirit, once the chief of several American Indian tribes. 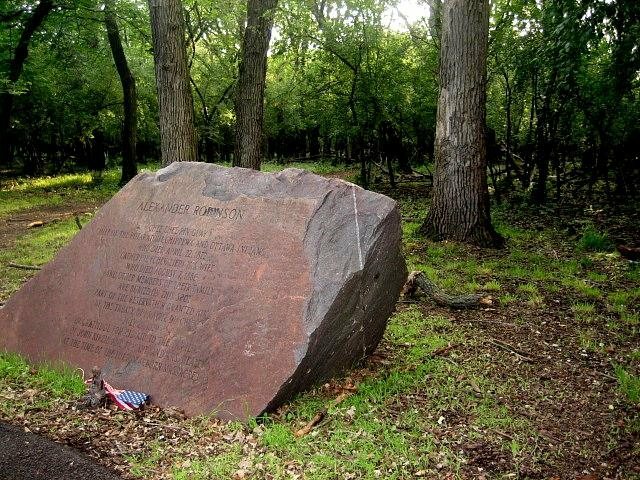 The land was given to Robinson's family in gratitude for saving American lives during the Fort Dearborn Massacre. A large memorial marks the entrance of the burial ground. 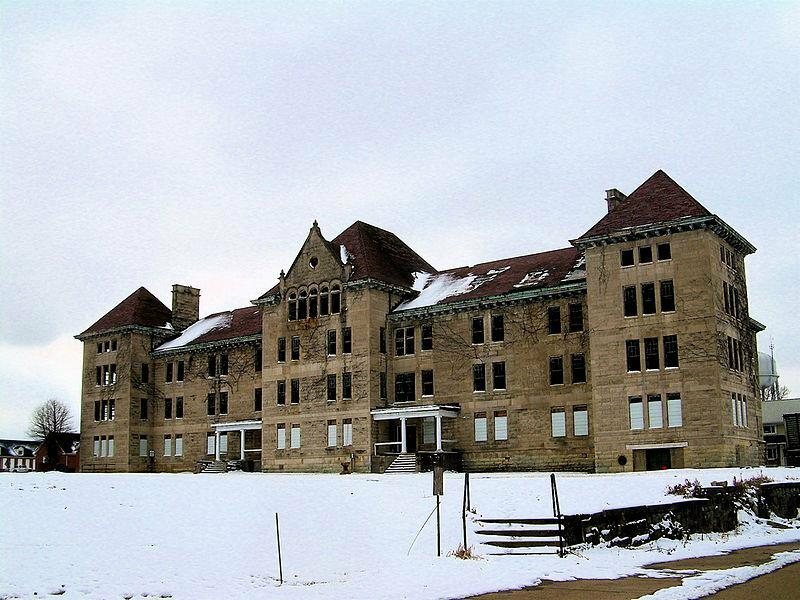 Also known as the Bartonville State Hospital or Illinois Asylum for the Incurable Insane, this psychiatric hospital first opened its doors in 1902. Operated by the State of Illinois, the location was listed on the National Register of Historic Places and is made up of over 40 buildings. The photo above is known as The Bowen Building, where the Nurses Dorm and Administration was located. At its peak, the hospital had over 2,800 patients, but upon the announcement of its closure in 1972, that number had dropped to 600. Once the buildings were closed down, they sat vacant for quite some time before being auctioned off. Many believe the place is haunted by a patient who worked with the burial crew until his own death. His name is Manuel A. Bookbinder, or Old Book, and a number of staff and patients said they had seen his ghost mourning at his own funeral. 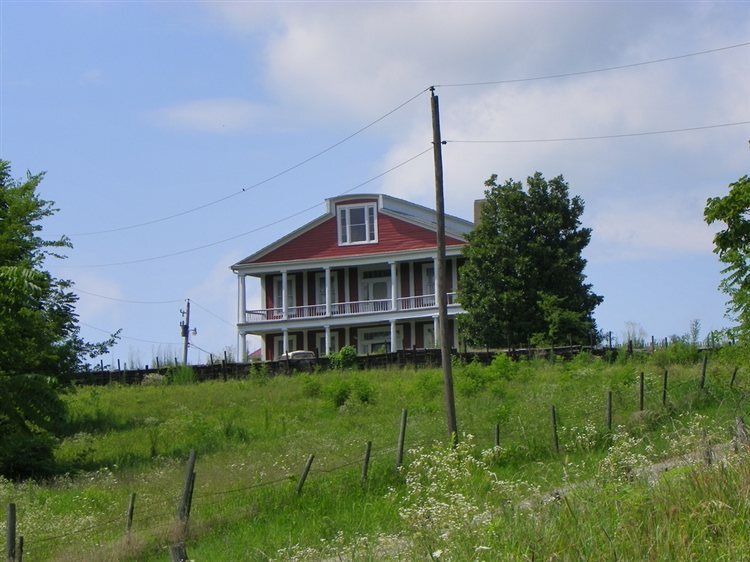 This historic Old Slave House, also known as Crenshaw Mansion or the Hickory Hill Plantation, stands alone in the southern Illinois countryside and is believed to be quite haunted. The home is one of the last known sites still standing throughout the U.S. that was used as a "stop" for kidnapping networks known as the "Reverse Underground Railroad." Once owned by John Crenshaw in the 1830s, stories say he kidnapped free blacks and captured runaway slaves, housing them in cells on the third floor before selling them. Haunting reports here came after the home briefly became a tourist destination, and included feelings of intense fear and sadness while in the slave quarters, along with the feeling of being watched. Cold chills have also been reported, and being touched by unseen hands. In the attic, a number of noises have been heard, including cries, whimpers and even the rattling of chains. Although the home is not open for tours anymore, it still brings some traffic from those who are interested in getting a closer look of the place. Dating back to 1857, this cemetery is said to be one of the most haunted places in Central Illinois. It has been named one of the most haunted cemeteries in the entire country and according to a popular author on haunted locations, Troy Taylor, the Greenwood Cemetery was built on an Amerindian Burial Ground, and then used by the first white settlers to bury their dead until the late 1830s. 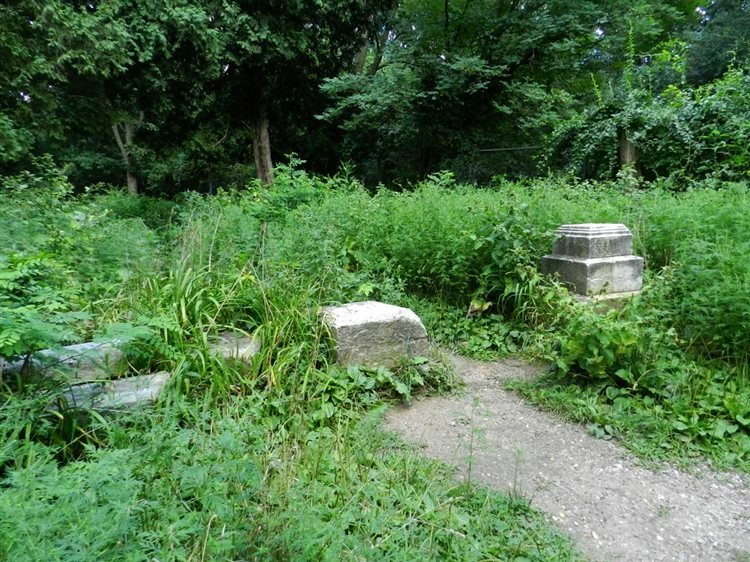 These graves have supposedly since disappeared, the oldest visible marker dating back to 1840, which was 17 years prior to when Greenwood was officially established. By the end of the 1930s, the cemetery association ran out of money and the grounds were not maintained properly. The city of Decatur took over ownership in 1957 in an attempt to save it, and after volunteers gathered to keep the costs down as much as possible, the cemetery was restored. This is when stories began to circulate about people witnessing ghostly lights and eerie sounds that came from the old public mausoleum. Dating back to 1908, the mausoleum was poorly constructed and had leaks in its walls. Rumors began to spread that now people were hearing screams coming from inside it. The building was declared unsafe in 1957, closed and removed a decade later. The foundation of the mausoleum can still be seen beneath the grass to this very day. 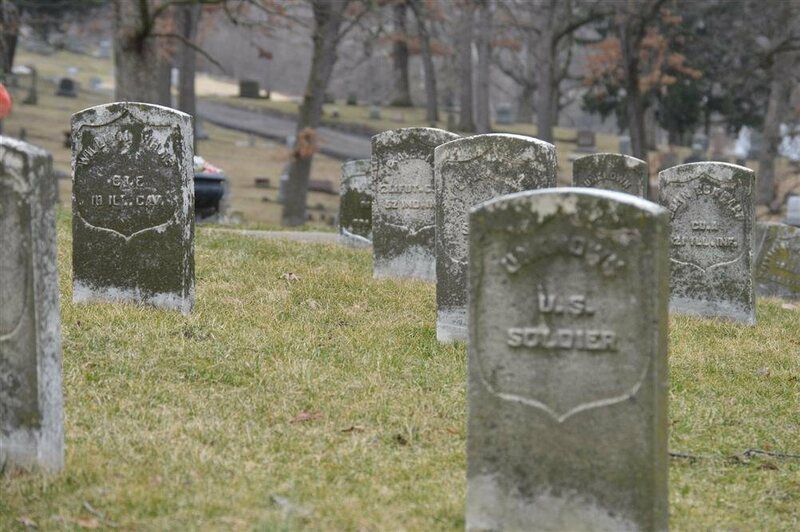 Various hauntings have been reported in Greenwood, including the ghosts of Confederate soldiers who were dumped here on their way to prison camp and buried in the hillside under what is now a memorial to Union soldiers. The "Greenwood Bride" is another ghost who is said to linger here, and she is known to wander the grounds wearing her wedding dress, in search of her fiance who has been murdered by bootleggers. Phantom funerals are also said to haunt the cemetery, ghostly lights and other apparitions that are said to be more sinister. This historic building dates back to 1916 and was a former almshouse, once part of the Coles County Poor Farm. It was in operation until 1959 when it was purchased by Ashmore Estates, Inc. It was used as a private psychiatric care facility until it closed down in 1986, standing abandoned until 2006. It was then turned into a Halloween Haunted House for locals to enjoy during the season, and overnight stays were offered during the off-season called a "Night of Insanity." The location has been featured on an episode of the Travel Channel's Ghost Adventures, and was investigated by SyFy's Ghost Hunters. Ghost Adventures then featured the building a second time on a spin-off show called Ghost Adventures: Aftershocks. Haunting reports include shadowy figures and ghostly voices, many of which witnesses believe is a patient who died here in a fire. Today, the location is under new ownership after being purchased in 2014. Click here to follow the progress of Ashmore Estates and to go on an investigation of the place, that is, if you dare! Click here to read about more Haunted Places in Illinois!